The Department of Transportation’s Pipeline Hazardous Materials Safety Administration has provided a grant to the Foundation to meet this need. In the recent past there have been several pipeline and rail car incidents involving flammable liquids in municipalities in North America. These incidents often involve a complex interaction with municipal authorities, the fire service as the first responders, and industry personnel. Experience has shown that the local personnel often do not have the required in-depth knowledge of the hazard or appropriate response techniques, thereby taxing the ability of local responders to manage the incident in a safe and effective manner. Despite the extensive efforts of all parties to ensure that emergency responders are properly trained and equipped, there remain gaps in the application and use of risk-based response processes to manage these incidents. Likewise, there is no standardized template or reference point to provide emergency response agencies with emergency planning and response best practices; this challenge is shared by small and large departments alike. NFPA 472, Standard for Competence of Responders to Hazardous Materials/Weapons of Mass Destruction Incidents, Chapter 8 provides requirements for competencies for incident commanders responsible for the on-scene management of hazardous materials emergencies and is the primary response industry standard.  NFPA 472 is written from a broad perspective - establishing a framework that can be applied to a wide variety of incidents regardless of the hazardous material(s) that may be involved, but does not provide product specific guidance for individual products, such as the crude oil, ethanol or refined petroleum products. The goal of this project is to develop a guidance document for incident commanders at flammable liquid pipeline incidents that addresses the competencies for incident commanders as outlined in Chapter 8 of NFPA 472. This document supports pre incident preparation by guiding the user to identify how a response organization agency can meet the Chapter 8 incident commander competencies, and generate a complete document that could serve as the foundation for an Incident Action Plan (IAP). The goal of this project is to develop a tool for incident commanders for management of incidents involving pipeline and rail car spills of crude oil that addresses the competencies for incident commanders as outlined in Chapter 8 of NFPA 472. The tool would support pre incident preparation by guiding the user to identify how the agency complies with the Chapter 8 incident commander competencies, and generate a complete document that could serve as the foundation for an Incident Action Plan (IAP). The tool consists of a guidance document and an electronic application tool. The Fire Protection Research Foundation expresses gratitude to the report authors Gregory Noll and Michael Hildebrand, who are with Hildebrand & Noll Associates, Inc. located in Lancaster, PA. The Research Foundation appreciates the guidance provided by the Project Technical Panelists, the funding provided by the project sponsor– Pipeline and Hazardous Material Safety Administration (PHMSA), U. S. Department of Transportation, and all others that contributed to this research effort. NFPA’s HAZMAT FLIC app (iOS and android) provides the on-scene incident commander with pertinent guidance materials including two Fire Protection Research Foundation reports, a multi-tiered size-up checklist, and a collection of additional resources for managing emergency responses for high hazard flammable train and liquid petroleum pipeline emergencies. The app can be downloaded for free from Google Play store and Apple store. See a demo of this app below. Explore more NFPA digital products.